To be safe and sound on the North Shore, trust CitiGuard. From Asquith to Woolwich and everywhere in between and beyond, Citiguard is the proven name for security services North Shore wide. It’s simple: we know how to keep your business and family safe. How? Because for five decades and counting, we are the name for security North Shore locals keep coming back to. When you’re looking for reliable, security North Shore Sydney people recommend, you demand the best alarms, security guards, round-the-clock monitoring, state-of-the-art CCTV, and so much more. Citiguard has more than 50 years of experience in Sydney security services! Security North Shore – What can Citiguard deliver? Locking up your business premises in Turramurra, or tucking your kids into bed near Lavender Bay? We are the security company North Shore can definitely rely on. Give Citiguard a call for the highest quality, most reliable and eminently affordable North Shore security. The latest alarms: You can try the rest, but for the best security alarms on the North Shore, go 100% Aussie made. And to really feel secure, ask about our back-to-base alarm monitoring. The most experienced security guards: You don’t just want any old security guard to keep an eye on your precious premises – you need the most experienced security guards there are on the North Shore. They’re qualified, licensed, and available as a one-off or as a permanent solution. 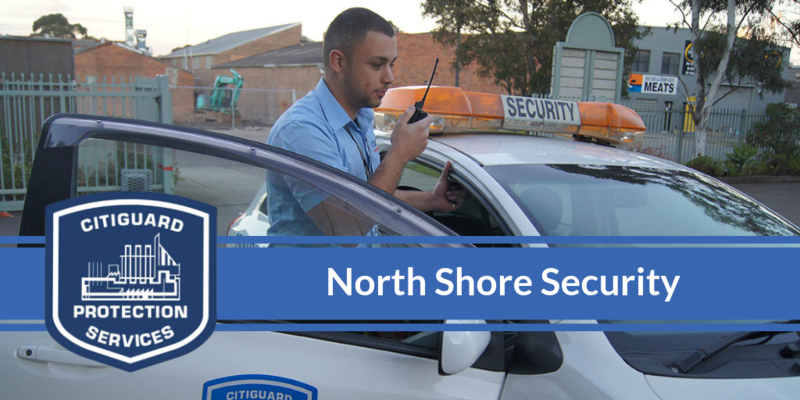 The most reliable security patrols: To really deter the vandals and thieves, and guard against staff members who forget to lock up, rely on the North Shore’s most trusted security patrol and mobile lock-up service. The most impressive access control systems: Need unprecedented control over who gets access to your North Shore premises? Take your security systems to the next level with a state-of-the-art keyless entry access control system. Citiguard provides a comprehensive range of security services not only on North Shore. Other service area includes the Sydney CBD, Inner West, Northern Beaches, Western Sydney, South Western Sydney, Parramatta & Hills District. For serious peace of mind on the North Shore and beyond, ask our friendly staff how Citiguard delivers the absolute best in North Shore security services. Why Citiguard loves the North Shore? If it’s fairytale homes, celebrated schools and beautiful national parks you’re looking for, there’s no wonder you live on Sydney’s North Shore. It’s a constellation of brilliant, nostalgic, elegant neighbourhoods that offer the perfect escape to city life – whether you’re running a business or bringing up a young family. There’s always something happening on the North Shore, and it’s why Citiguard loves it just as much as you do! Give us a call on 1300 662 468 today!